You are currently browsing the tag archive for the ‘pain log’ tag. There was one correlation that lept off the screen, and I thought I’d share it here in visual form. 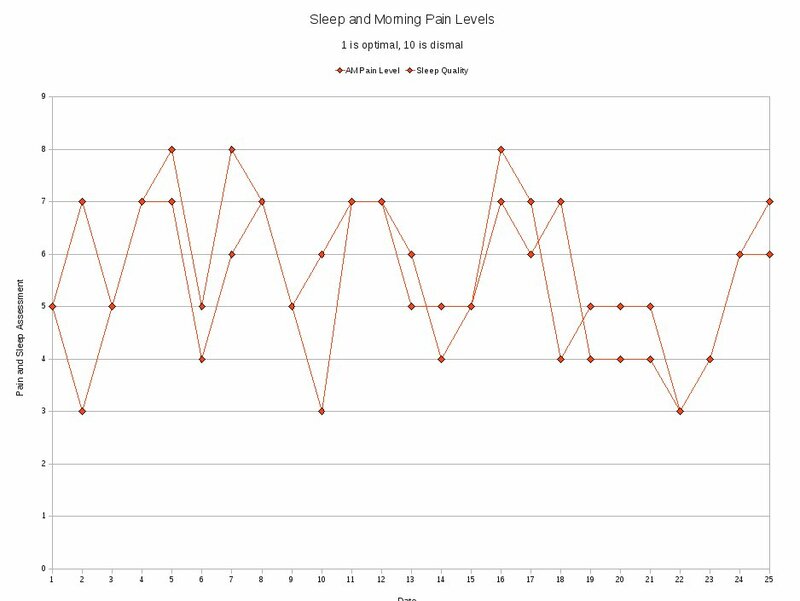 The two lines are “sleep quality” and “morning pain level,” both ranked on a 1-10 scale. In this case, one is the best possible scenario. Ten is really, really terrible. See if you notice a pattern. The part towards the right where it appears that there is only one line is actually the two lines overlapping. I recently realized that I dread going to sleep. It’s not a nice, relaxing, mmm-this-is-going-to-be-good experience. I basically feel as though I go to bed, am unconscious (hopefully) for a number of hours, have the occasional bizarre dream, and wake up just as exhausted as when I first went to bed. I do not feel rested. Apparently this is not normal, even though I’m so used to it at this point that I forget some people actually enjoy sleeping. Long story short, I’m going to see my doctor about sleep quality. Poor sleep is associated with fibromyalgia. I’m just hoping that something can be done about it. You hear references sometimes, many conjuring up images of toothless old geezers sitting on their rocking chairs, complaining about how they can tell a storms a-comin’. They can feel it in their bones. Much has been written about possible connections between pain and weather – just do a quick google search on “pain and weather” – and there isn’t much agreement. There is some suggestion that barometric pressure, or particularly rapid changes in weather, are a strong indicator for increased pain. Still, it varies from patient to patient. I just started a new pain journal – more on that in another post – and have been tracking weather patterns, as well as things such as exercise, sleep, food, and of course pain. What does today’s flare-up indicate? Inconclusive at this point. Is it the pressure? The chocolate? The sleep patterns? Or some nebulous interaction? One data point amidst four days of symptom tracking doth not a pattern make. 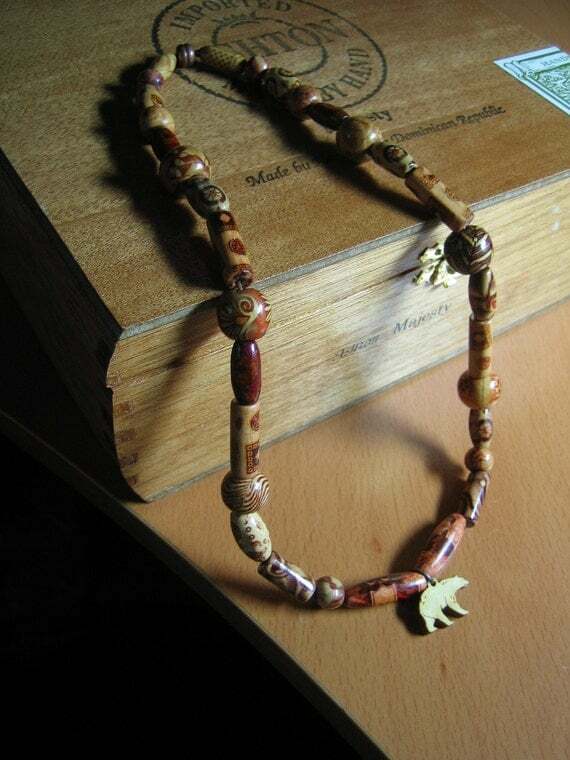 It does strengthen my commitment to keeping a pain log, to see what I might find.